I don’t often write my thoughts down on my blog. I felt the need to state this after reading another blog entry last night. Often we as cover artist are expected to be the silent force in book sales. We are to sit back and pat ourselves on the back in quiet. Well, there is and never will be anything quiet about me. I can’t help it. That is who I am. I am coming up on my two year cover art anniversary. Yes, some would say I am a newbie. I am. Yet, this newbie has worked on many covers and worked with many publishers and authors. So I feel I am qualified to give my thoughts on the industry standards. 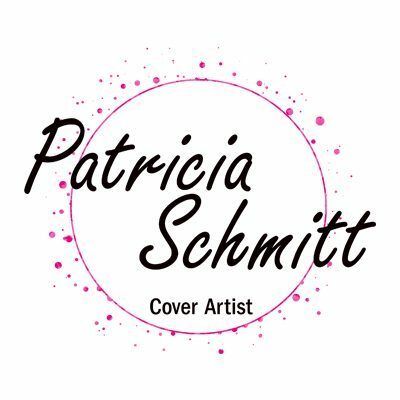 Cover Artist and Photographers DO help sell your books! We invest our time and talent for your book. I know that for myself, I promote your book just as much or MORE than others. We WANT to sell your book! Artist are so proud to be able to help you reach your readers. I personally love the authors I have worked with and for. I have a personal investment in helping you spread the word on your book. PEOPLE JUDGE YOUR BOOK BY ITS COVER! whether that is wrong or right. It is the truth. I recently received an email in which the person told me a story about how much my cover art influenced a sale. She stated that she picked up the book based on the cover. When she got home she realized it was the same book she passed on the first time it was released because the cover on the previous release was so bad. She enjoyed the book, but if the cover had stayed the same she would never have bought it. Now she is a fan of the author and will continue to buy her books. I don’t think that authors intentionally dismiss cover artist. I don’t think that the industry by a whole looks down on us. I just feel like we are some times not given enough credit for what we actually do for the sale of books. At conferences I have registered for. There normally is a place you can state letting them know you are part of the industry. Not once have I seen in the pull down tab. Cover Artist. Oh there are blogger tabs, and librarian tabs, agent tabs, and editor tabs, etc. Why no cover artist tab? NOT COOL! How many authors actually know who did their cover art? Not many. I talk to a lot of authors, consider many dear friends. There are many who had no idea who did their cover art. THIS MAKES ME SAD. Do you know why they did not know… because once again we are expected to be silent and not put it out there for the authors to see us. When I started out, I wanted to learn more about fellow cover artist. I realized very quickly. They are often no where to be seen. It was hard to find them. Often they were not even credited in the book. THE HORROR!! So I put myself out there. I want fellow artist to not feel ashamed of what we do. Plus, this is just me… I am chatty. I get a kick out of interacting with other readers. It totally helps me with my job. I get to know what readers like and don’t like and do my cover art accordingly. Next postWant to win some books?